It is important to remember that you must adjust your shipping costs from your Shopify Settings. Use our Product Pricing & Shipping Cost article below as a guideline. If you plan on offering products that are not fulfilled by Viralstyle, there are a number of paid apps available in the Shopify App Store that will allow you to calculate "blended shipping rates". A great example would be "Advanced Shipping Rules" or "Better Shipping". These apps will allow you to set different shipping rates for different groups of products. Or even individual products in your store. When using these apps you can generate live shipping rates for both Viralstyle Fulfillment products and other apps you may use for fulfillment. 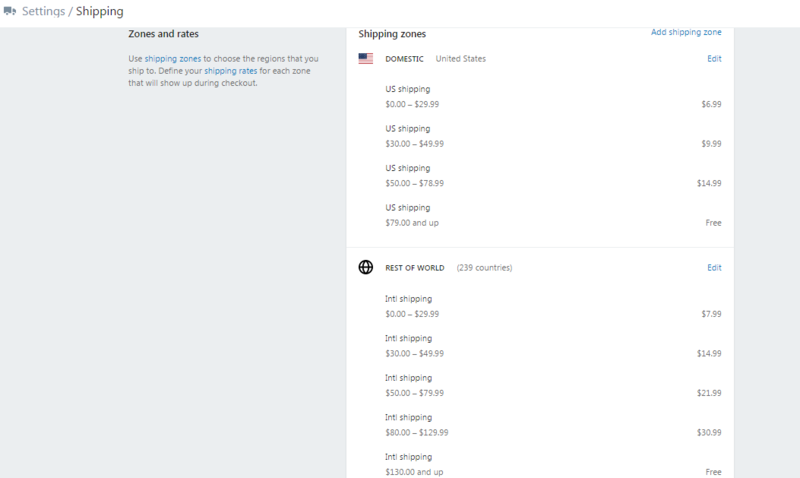 If you're only selling Viralstyle Fulfillment products in you Shopify store, you can set the shipping costs manually from your Shopify Account Settings. See the article below, and feel free to reach out to shopify@viralstyle.com with any questions or concerns. You can set your own manual shipping rates if you use regular mail or a fulfillment service like Viralstyle only to deliver your orders. You base manual shipping rates on either the total weight or the total price of the order at checkout. If a customer chooses one of your manual rates, you'll need to arrange for shipping the order yourself unless you're using a fulfillment service or allowing for customer pickup. Here is an example of how our Sellers adjusts their shipping using Total Price. You do not need to request/generate shipping labels for your Viralstyle Fulfillment products, this process is automated on our side. Viralstyle will charge your in-app payment method for both Production & Shipping costs (combined) per order. If you choose to offer free shipping at checkout, you can incorporate the shipping cost into the selling price when creating your product(s).